6 things you can expect at an acupuncture treatment. So you have taken the leap and booked your first acupuncture treatment. Now you are wondering what to expect. Here are the 6 things you can expect at an acupuncture treatment with any acupuncturist with whom you book. Acupuncture is a holistic therapy, taking all aspects of the person into account. You may, therefore, be asked questions which appear to you to be unrelated to the matter at hand. Please don’t feel this is a waste of your time, relax and go with it. Your acupuncturist is trying to build a complete picture of your health and lifestyle. Your acupuncturist will then ask to look at your tongue. This can give her information such as whether there is Cold, Damp or Heat in your body and which organs it is affecting. She will also take Chinese Medicine pulses; these are three pulses on each wrist relating to different organs. She may also feel for muscle pain and tightness. You will be asked to describe your main complaint in your own words. Your acupuncturist will want to know what your symptoms are, how severe they are, whether constant or intermittent, the frequency, whether the time of day affects them. She will also want to know what makes it worse or better. Your acupuncturist will put all this information together to form a diagnosis and a treatment plan, which may also include diet and lifestyle changes. She will then use very fine pre-sterilised, single-use needles to effect changes within the meridians in your body. Some points may not be near the point of pain, for instance if you come with recurring headaches do not be surprised to find that needles are being put in your foot. You should refrain from vigorous exercise after treatment and, ideally, give yourself a little time to rest. It is also advisable not to drink alcohol for several hours after treatment. 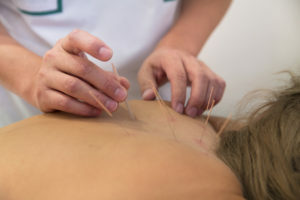 Acupuncture has very few side effects and any that do occur are usually mild and self-correcting. To read about the 8 things you should do to get the best from your acupuncture treatment please read here. Please read the Acupuncture section of my website for acupuncture treatment information as to what you can expect at your first treatment. Jackie Graham is a licensed acupuncturist working in Ealing W5 and W13. She is passionate about helping people towards good health. For an appointment email her at info@jackiegrahamacupuncture.com or call her on 07733274745. You can also find Jackie at Bridge to Health, Ealing.